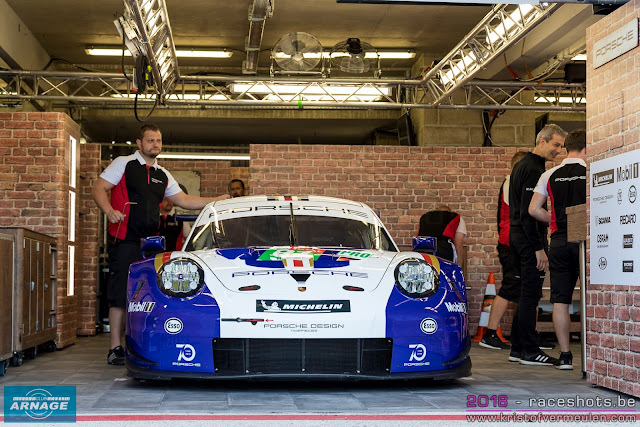 Preparations for the test day at Le Mans tomorrow are in full swing in the pitlane and paddock since Thursday. Porsche had a very special surprise this morning, fielding two cars in one of their iconic liveries. The factory-run cars with the starting numbers 91 and 92 will compete sporting the traditional Le Mans liveries of the 1970s and 1980s. The #91 Porsche 911 RSR is decked out in the iconic blue-and-white finish with red and gold stripes, reminiscent of the Rothmans sponsor colours of that era. 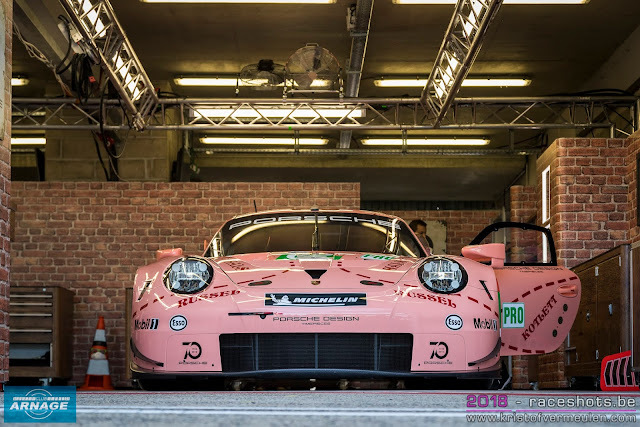 The #92 car adopts the famous “Pink Pig” design of the 917/20 from 1971. Porsche unveiled the two circa 510 hp racers from Weissach on Saturday at the official test for the Le Mans 24-hour race. By presenting these special designs, Porsche commemorates its eventful history at the prestigious marathon in the Sarthe Department on the occasion of its anniversary year “70 Years Porsche Sports Cars”. Moreover, the two cars are real head-turners for fans. 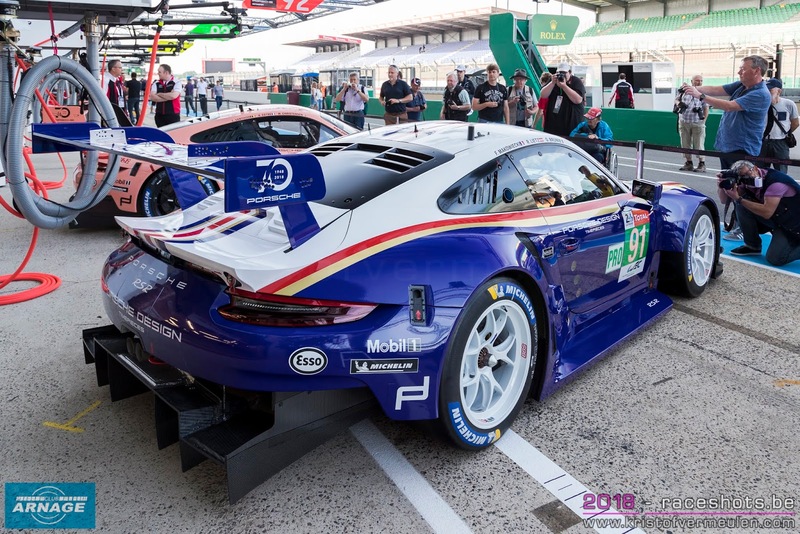 “With these much-loved designs, we want to thank our loyal supporters who have cheered for us both on and off the track at every race, but particularly at Le Mans, where we as record winners with 19 outright victories received incredible support every year,” says Dr Frank-Steffen Walliser, Vice President Motorsport and GT Cars. 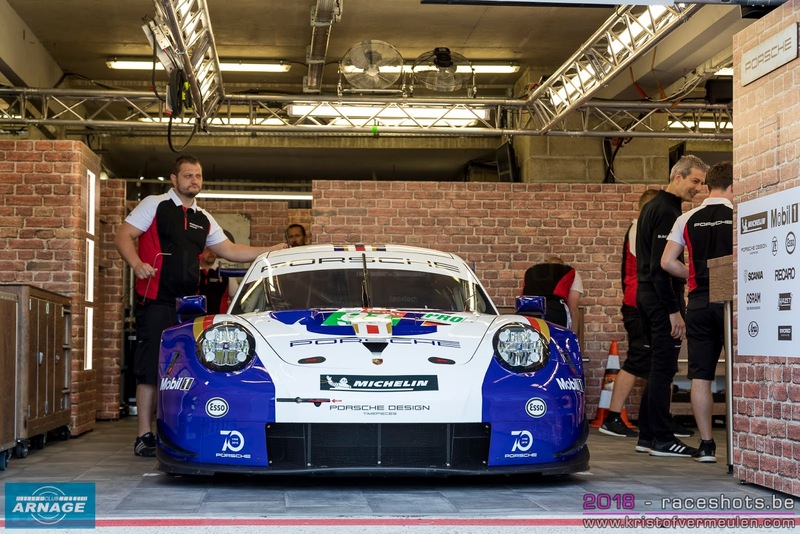 The 911 RSR with the number 91, driven by Gianmaria Bruni (Italy), Richard Lietz (Austria) and Frédéric Makowiecki (France), echoes the Rothmans paintwork of various Porsche race cars. An example is the Porsche 959, which won the 1986 Paris-Dakar rally flying the colours of the British tobacco manufacturer. 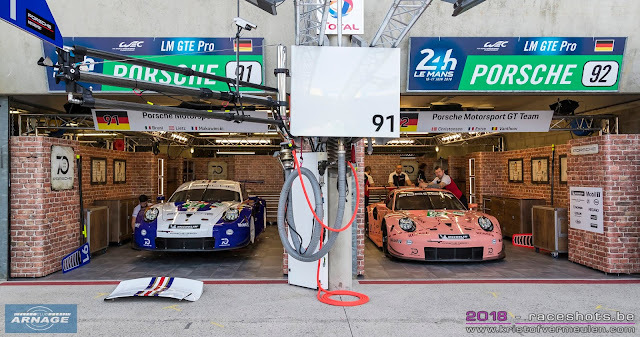 In circuit racing, the Porsche 956 C and the Porsche 962 C celebrated major successes: Each of these two blue-and-white Group C sports prototypes clinched overall victory twice at the 24 Hours of Le Mans – the 956 C in 1982 and 1983, and the 962 C at the 1986 and 1987 races. 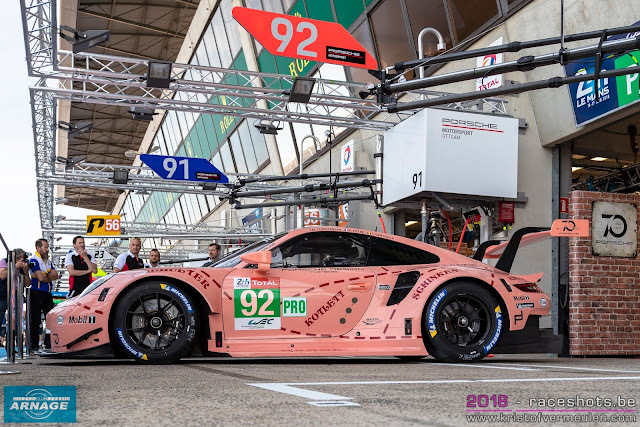 The finish of the number 92 car, shared by race drivers Kévin Estre (France), Michael Christensen (Denmark) and Laurens Vanthoor (Belgium), harks back to the Porsche 917/20 that tackled Le Mans in 1971. This one-of-a-kind race car was designed to combine the aerodynamic advantages of the short and long-tail versions of the 917 and thereby ensure that the previously untested car would win the qualification. The 917/20 was dubbed the “Pink Pig” due to its pink paintwork with sections of the car labelled in butcher-style cuts. The idea implemented under the Porsche designer Anatole Lapine caused a stir at the Sarthe. Still today, the 917/20, also known as the “Truffle Hunter”, is one of the most famous Porsche cars ever.